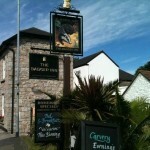 Star Inn in St. Erth has accommodation. The pub has a beer garden, it has a car park. Star Inn has disabled facilities. The pub gives a warm welcome to dogs and their owners, it is a family friendly pub. Star Inn serves food. The pub serves real ale, it has a real fire. Star Inn has free WiFi. The pub has a dart board, it has a pool table. Star Inn is a member of Cask Marque. Our wonderful pub was given its present name in 1975. Previously known as the The New Inn, Praed's Arms, then The Lelant Arms (1899-1975), it was considerably extended and modernised in 1900, becoming the building we know today. Bird In Hand in Hayle has a beer garden. The pub has a car park, it has disabled facilities. Bird In Hand is a family friendly pub. The pub serves food, it has an outside area. Bird In Hand has a dart board. The pub has live music events, it has a pool table. Bird In Hand holds quiz nights. The pub shows football on TV. 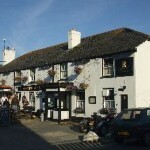 White Hart Hotel in Hayle has accommodation. The pub has a dart board, it holds quiz nights. Tyringham Arms in Lelant has a car park. The pub is a family friendly pub, it has a function room that can be booked. Tyringham Arms has an outside area. The pub has a smoking area, it has free WiFi. Tyringham Arms has a dart board. Cornish Arms in Hayle has a beer garden. The pub has a car park, it serves food. Cornish Arms has an outside area. The pub serves real ale, it is a member of Cask Marque.